Tammera “Bucket, Tam, Tammy” Toral Billingsley transitioned from this life on Thursday, January 10, 2019 at Druid City Hospital. Tammera was a native of Marion, AL. She was a 1993 graduate of Francis Marion High School. She went on to obtain an Associate of Arts in Business Degree from the University of Phoenix. 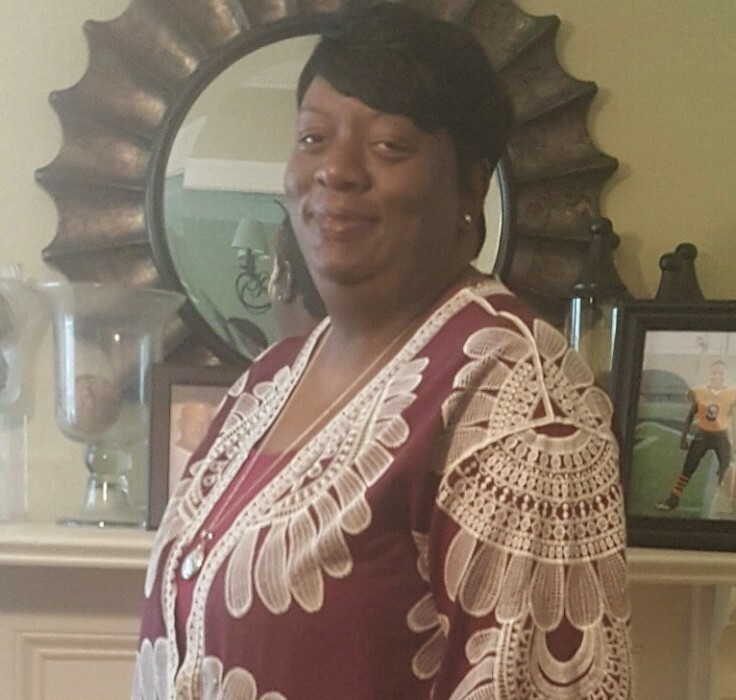 Tammera worked in various capacities including, but not limited to, Berean Baptist Headstart Teacher, Perry County Schools HIPPY Coordinator, and most recently as a production worker for North American On-Site at Mercedes in Vance, Alabama. Tammera was a member of Zion United Methodist Church. She actively and faithfully served as Zion’s Annual Charge Conference Secretary. She was a member of Zion United Methodist Women’s Auxiliary. Tammera loved the elderly and children. She was an Angel Tree Adopter for Southland Nursing Home for years; and often provided gifts for community children. Tammera was preceded in death by her mother, Jessie Billingsley (“Grandma Jessie”; “Jessie B.”), and father, Henry “Red” McLaughlin. Tammera leaves to cherish her memories a loving and devoted daughter, Shantoria Billingsley of Hoover, AL; brother/nephew Caheen Billingsley, Atlanta, GA; Six sisters Zadie (Steven) Rogers of Moss Point, MS; Irma (Albert) Childs, Pascagoula, MS; Charlene (Michael) Foster, Houston, Texas; Cynthia Billingsley, Cottondale, AL; Anita (Ronald) Rutledge, Tuscaloosa, AL; Dr. Doris B. Cureton, Marion, AL; Four brothers: Lee James (Charlene) Billingsley, Hampton, GA; Jeffrey McLaughlin, Decatur, GA; Henry (Tobi) McLaughlin, Stockbridge, GA; Kenneth (Stephanie) McLaughlin, Mobile, AL; a very loving, devoted, and caring Aunt, Bessie Williams, Marion, AL; three Uncles, Anthony (Vivian) McLaughlin, Marion, AL, Jimmy Billingsley, Upper Marlboro, MD; Richard (Annie) McLaughlin, Marion, AL; Goddaughter, Kalesha Warren; God-Granddaughter, Kaitlyn Hogue; Godson, Alfonzo Moore; special friends Gwendolyn Melton, Sandra Green, and Trina Arrington; nine nieces, six nephews, and a host of relatives and friends.